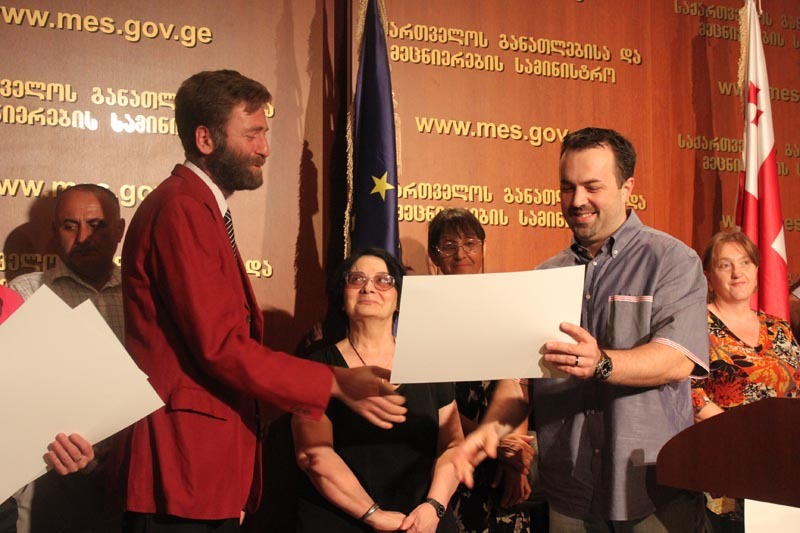 Minister of Education and Science of Georgia, Dimitri Shashkini awarded with certificates and personal computers several teachers who successfully passed the certification exams. 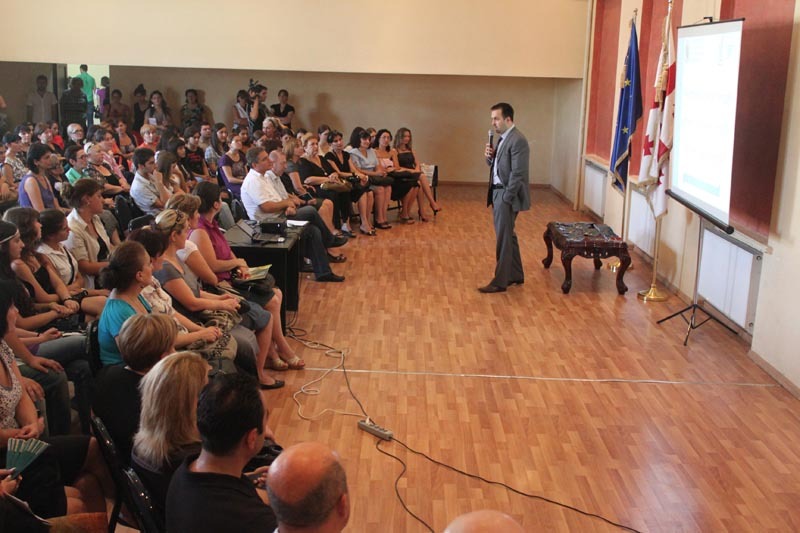 First Deputy Minister of Education and Science of Georgia, Koka Seperteladze met the teachers of the new selective subject World Culture that is designed for the 11th graders of the general educational institutions. First Deputy awarded the teachers with certificates. 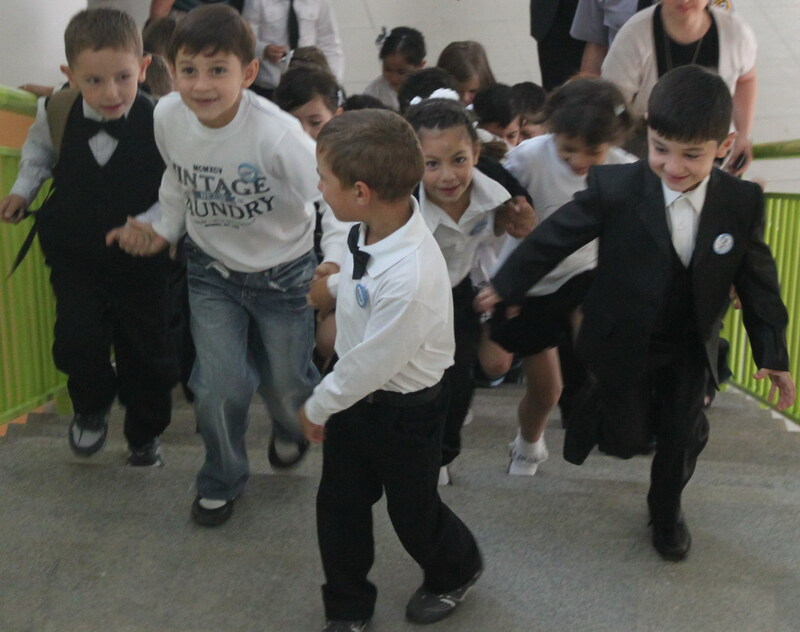 Minister of Education and Science of Georgia, Dimitri Shashkini, together with the first graders of Public School №53 attended the presentation of the education-cognitive computer games. Teachers’ Professional Code of Ethics, School Principal Code of Ethics and School Children Code of Conduct will be launched from the new academic year. 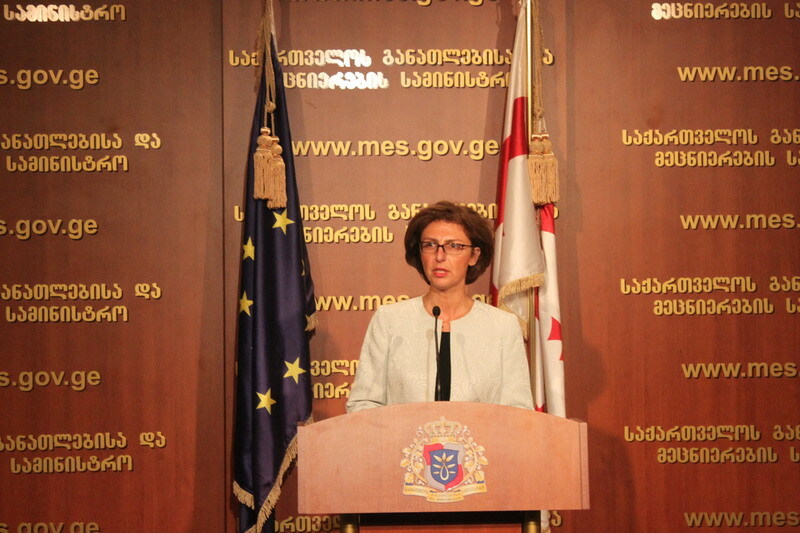 First Deputy Minister of Education and Science, Koka Seperteladze held a briefing on the State Education Grants. 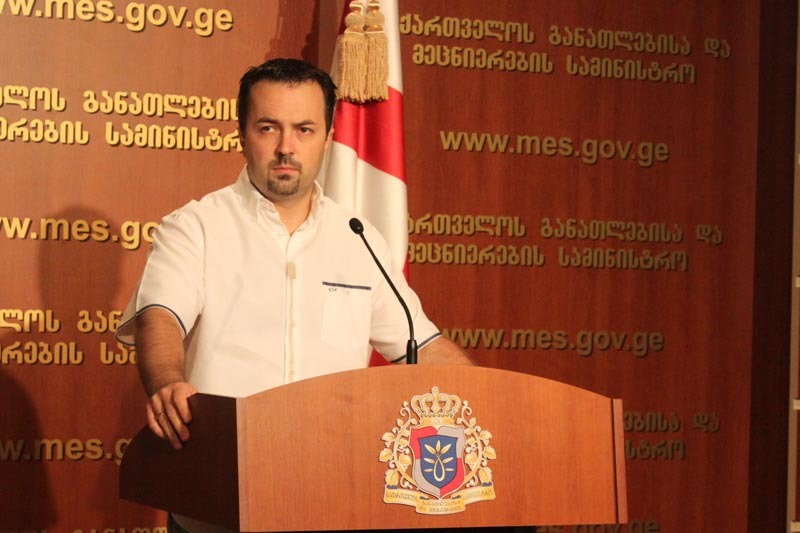 According to Koka Seperteladze, registration begins for the students who passed Unified Entry Exams and meet the requirements for participation in the social program. 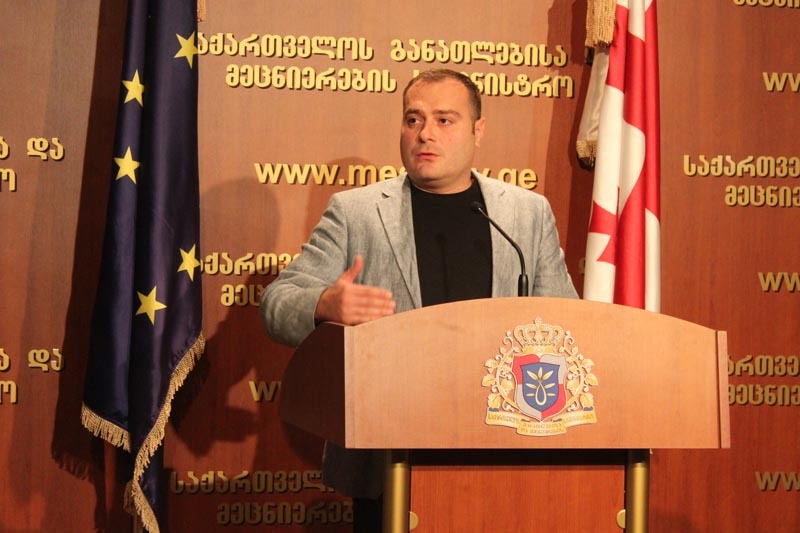 Minister of Education and Science of Georgia, Dimitri Shashkini met the winners of international Olympiads, Tsotne Tabidze, Grigol Peradze, Teimuraz Ghoghoberidze and levan Kankadze and awarded them with prizes, diplomas of Honor and books. 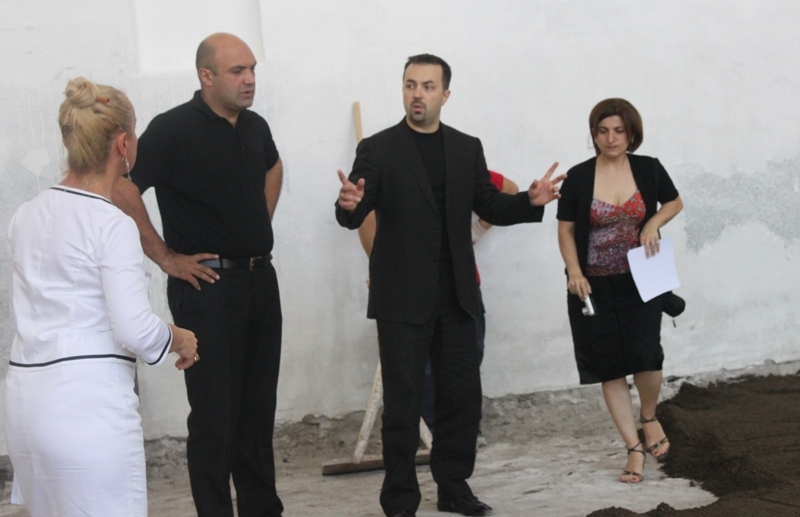 The First Deputy Minister of Education and Science of Georgia, Koka Seperteladze and Majority of Gldani-Nadzaladevi region, member of Tbilisi City Assembly, Mamuka Gugeshashvili visited the newly constructed open stadium of Tbilisi Public School №133. 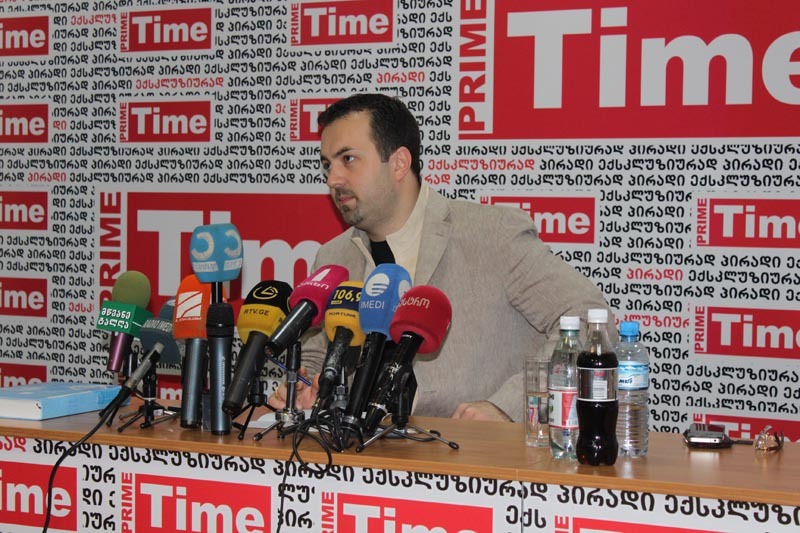 Minister of Education and Science of Georgia, Dimitri Shashkini awarded around 200 10th graders of Tbilisi Public Schools with personal computers. These school children successfully completed the basic level (7th, 8th and 9th forms). Totally, 1015 successful school children will be presented with computers throughout Georgia. 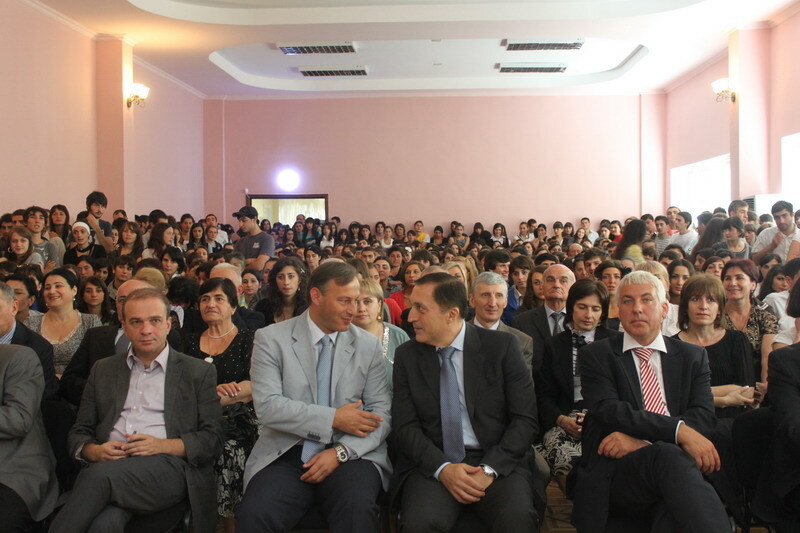 Minister of Education and Science of Georgia, Dimitri Shashkini met 110 Heads of primary classes and presented them with netbooks. 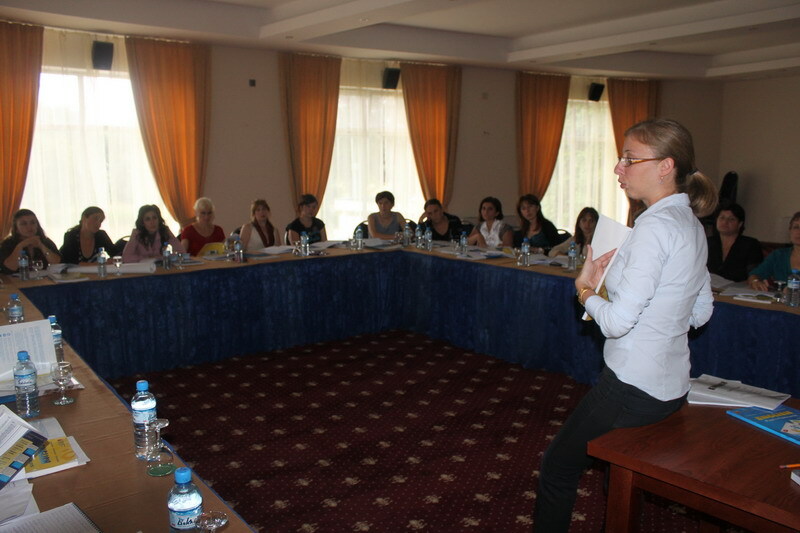 These teachers passed four-day training in the basic computer skills and got familiarized with the requirements of the new National Curriculum. The Minister of Education and Science of Georgia Dimitri Shashkini met English language teachers, who came to Georgia in the scope of the program “Teach and Learn with Georgia” and discussed with them the issues concerning the implementation of the program. The process of distributing text-books to vulnerable schoolchildren has been started. 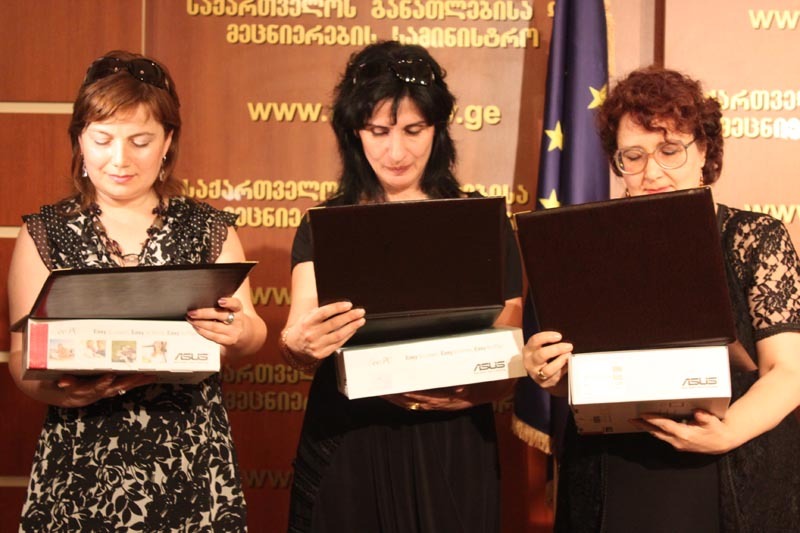 First, the text-books will be sent to Imereti, Samegrelo and Svaneti regions. 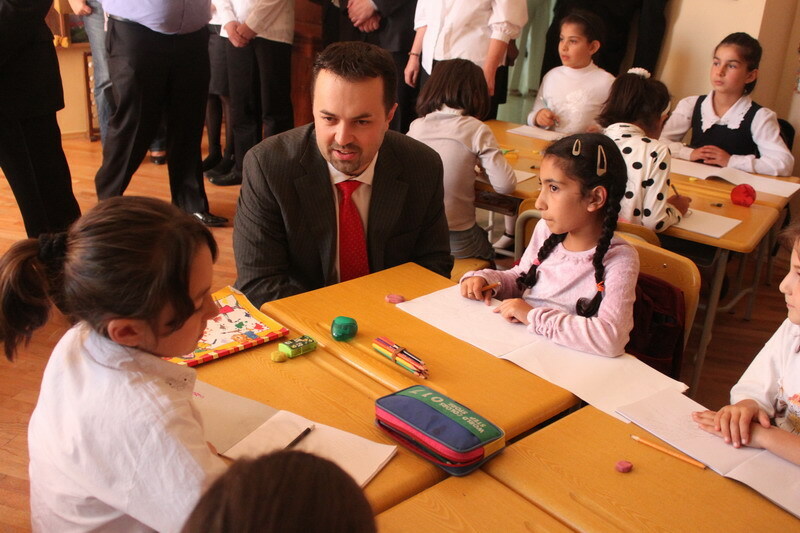 Minister of Education and Science of Georgia, Dimitri Shashkini visited the Peikrishvili family where 5 children live. 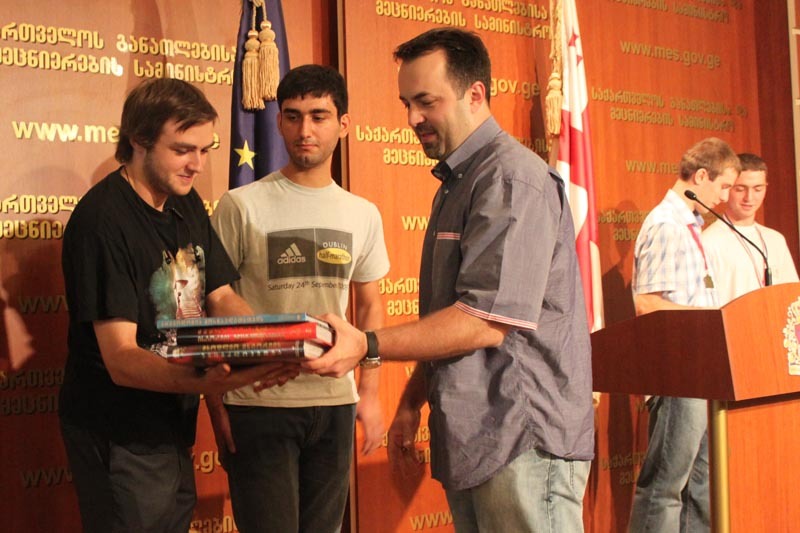 Minister presented the twins Nino and Besik Peikrishvili with the textbooks. 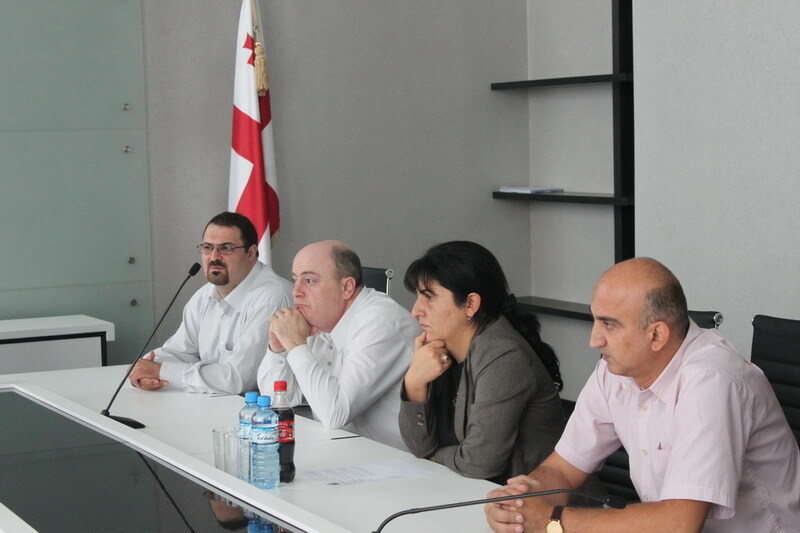 First Deputy Minister of Education and Science of Georgia, Koka Seperteladze and the Head of National Center for Education Quality Assurance, David Kereselidze held a briefing. 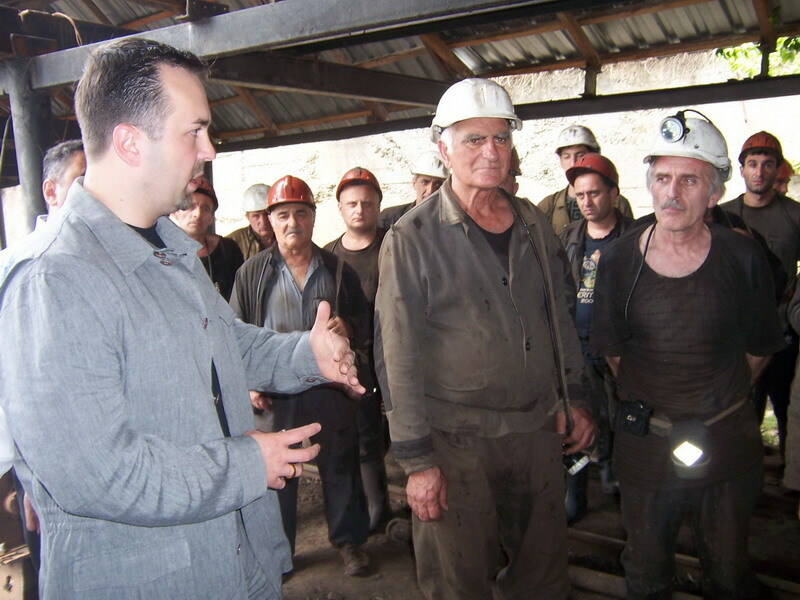 The Minister of Education and Science of Georgia Dimitri Shashkini, the Governor of Imereti Region Lasha Makatsaria and Rector of Georgian Technical University Archil Phrangishvili visited Tkibuli to meet miners and upon the President’s task discussed the issue of opening Miners Professional Education Institution in Tkibuli. 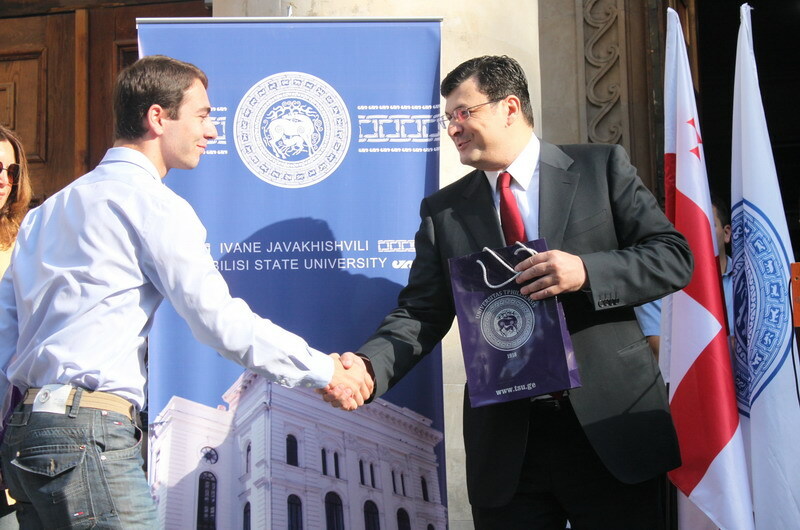 The Minister of Education and Science of Georgia Dimitri Shashkini attended reception at Free University and met the students who got highest scores in National Unified Exams and were enrolled to Free University. 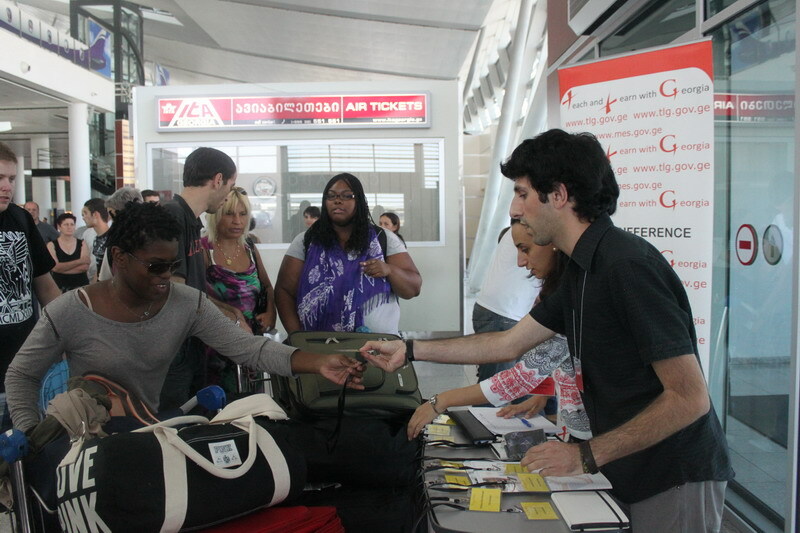 The Minister of Education and Science of Georgia Dimitri Shashkini met 100 English teachers from USA, Canada and European countries at Tbilisi International Airport. In 2010, for the first time, text-books will be distributed free of charge to all students from socially vulnerable families. The Government has allocated 8 million GEL for this program. 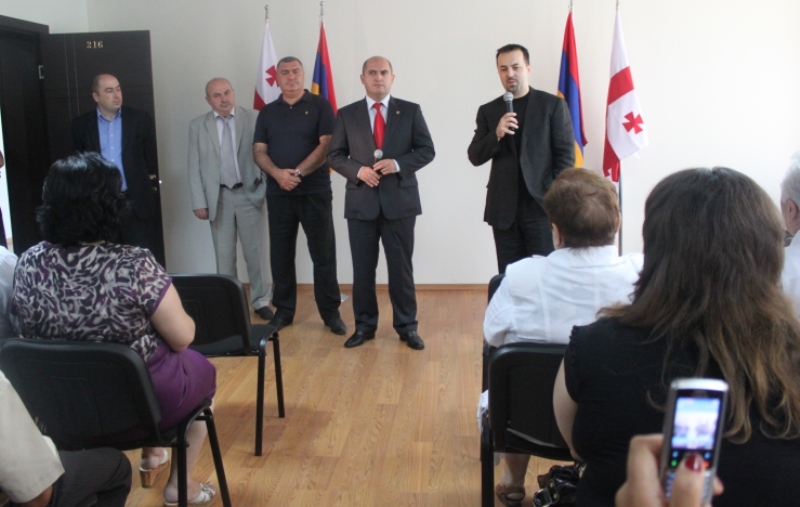 The Minister of Education and Science of Georgia Dimitri Shashkini and the Minister of Education and Science of Armenia Armen Ashotian met Armenian teachers who are attending 4 days training at Zurab Zhvania State School of Administration. 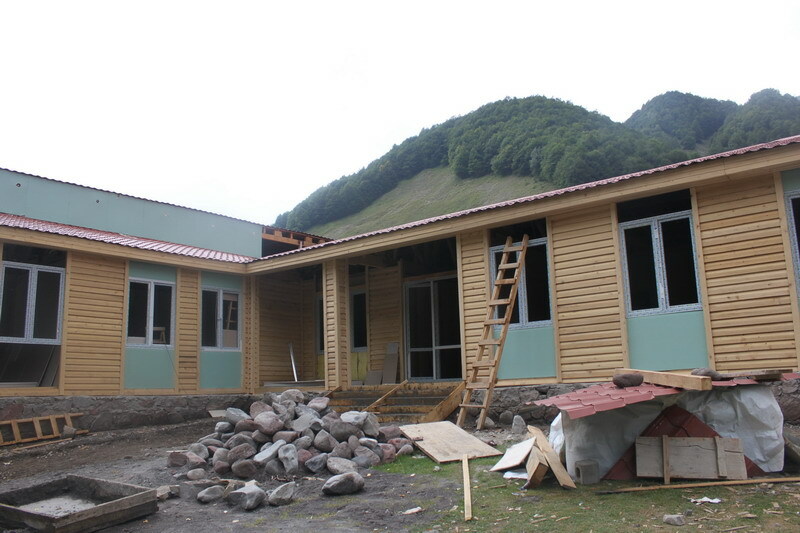 The Minister of Education and Science of Georgia Dimitri Shashkini got familiarized with reconstruction works at public school №17 of Kutaisi. 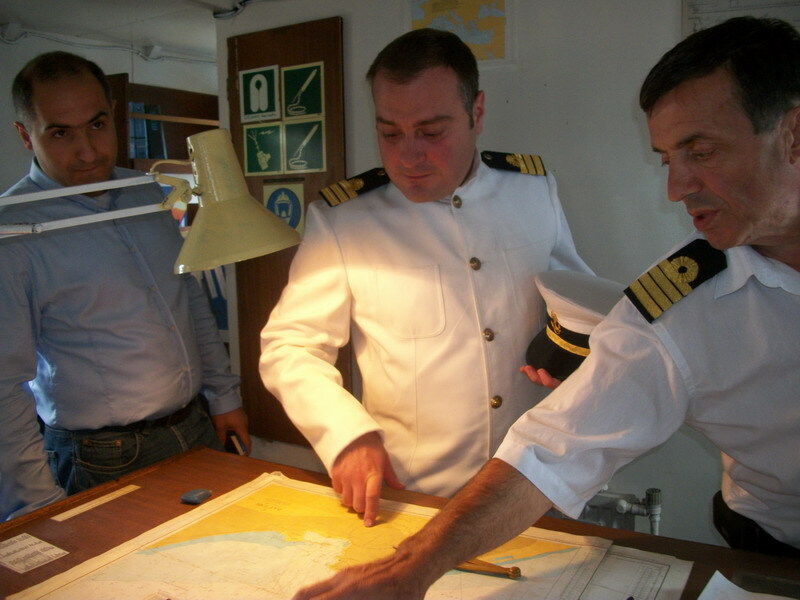 The first Deputy Minister of Education and Science of Georgia Akaki Seperteladze visited Italian School in Batumi and got familiarized with European model of teaching, infrastructure and technical support of the school. 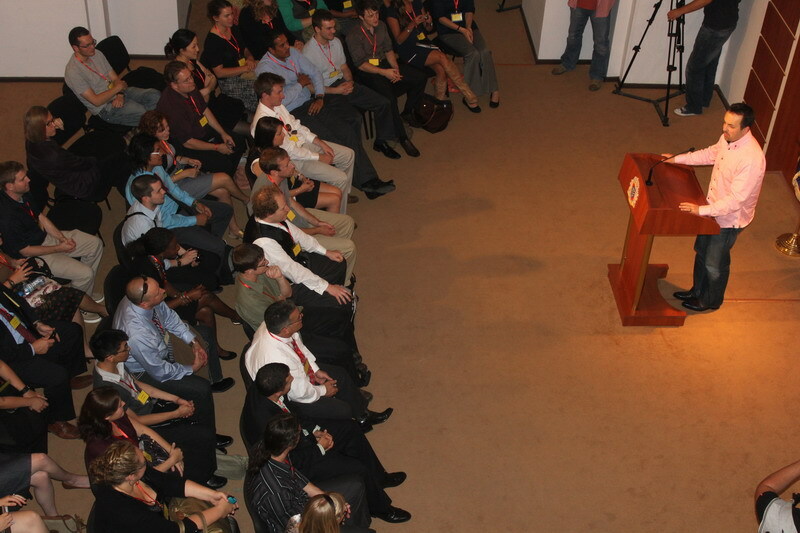 The President of Georgia Mikheil Saakashvili met Azeri and Armenian students. 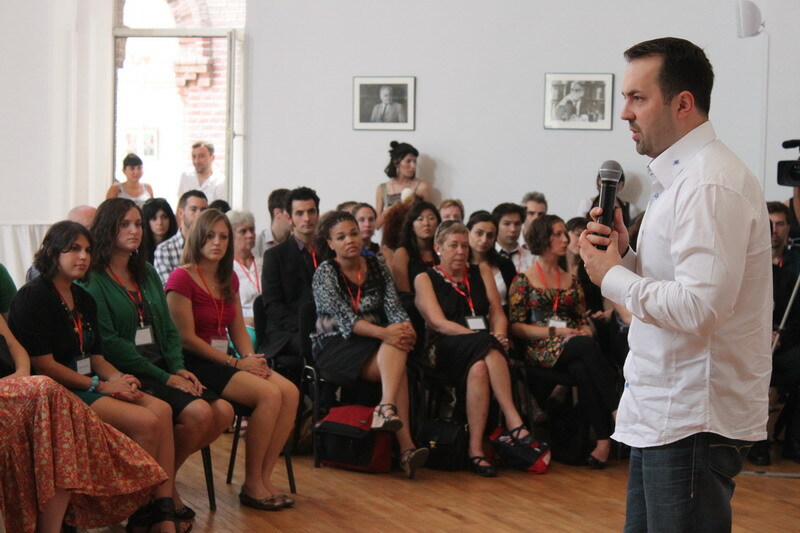 For the first time, this year was launched new program for students of ethnic minorities. They were enrolled in the higher education institutions with special quotas. 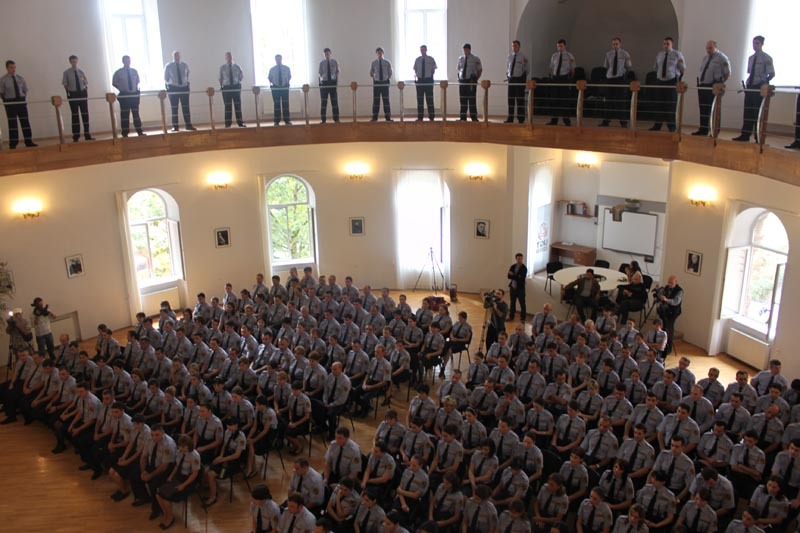 The first Deputy Minister of Education and Science of Georgia Akaki Seperteladze and the Minister of Education, Culture and Sport of Autonomous Republic of Adjara Gia Abuladze awarded resource officers with certificates at Public Schools №3 of Batumi. 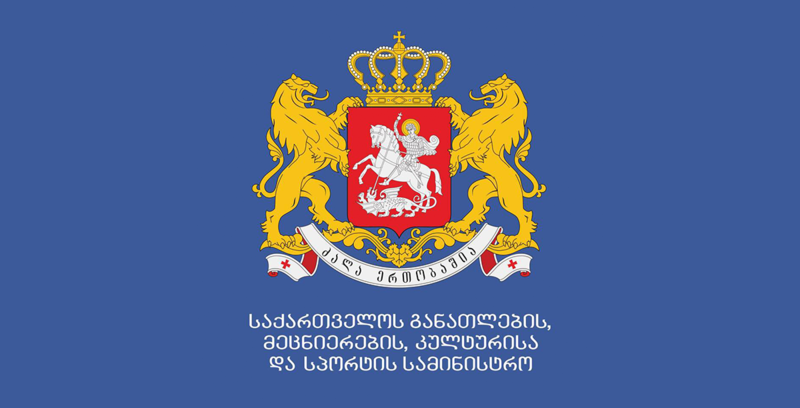 The Minister of Education and Science of Georgia Dimitri Shashkini attended the presentation of the School Principal Standard. The normative document was prepared by the specialists and experts of the National Center for Teacher Professional Development and it envisages the standards of professional and practical skills of the school principal. 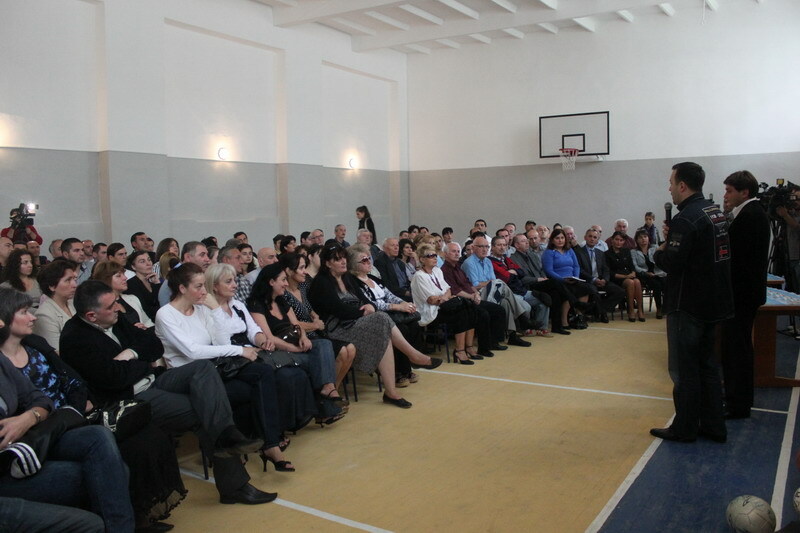 The President of Georgia Mikheil Saakashvili attended the presentation of Hours of Heads of Classes at hotel-complex “Bazaleti” and met 150 teachers there. 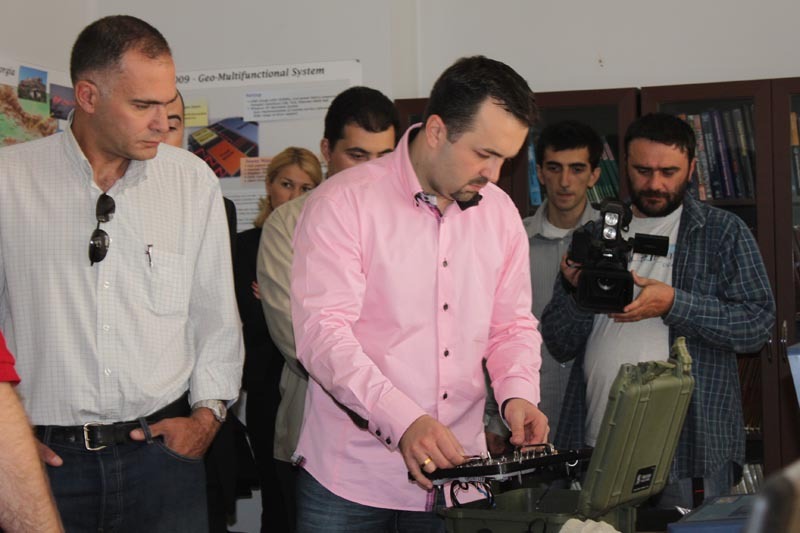 First Deputy Minister of Education and Science of Georgia Koka Seperteladze attended the testing of Resource Officers and got familiarized with surveillance system installed in the school. 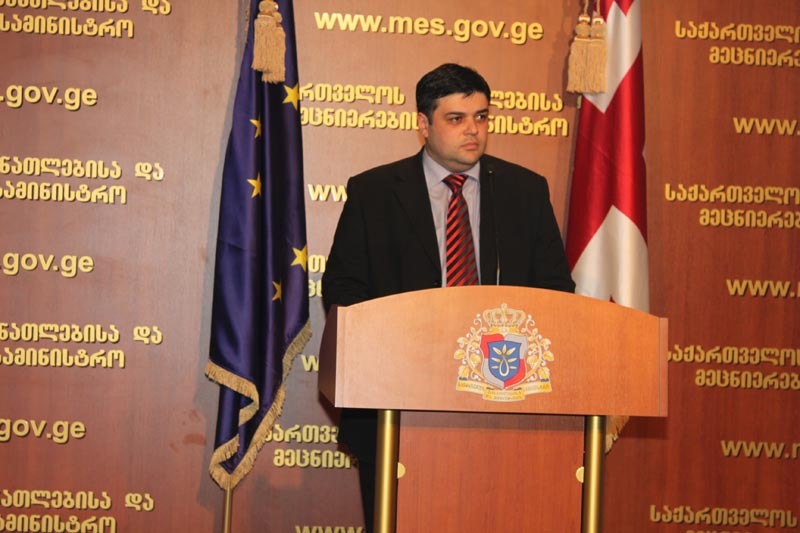 Head of Internal Audit Department Irakli Andriashvili held briefing on unlawful procurements of 2008. 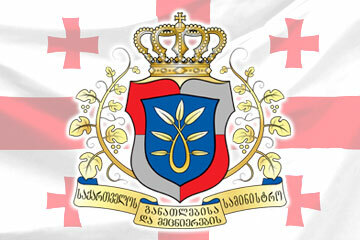 By the Decree of the Minister of Education and Science of Georgia Dimitri Shashkini. 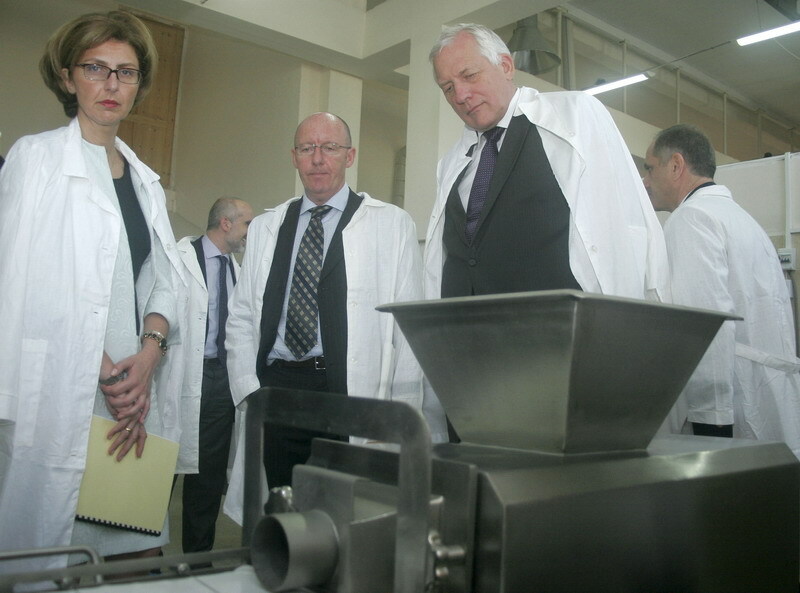 Intermal Audit Department inspected the documentation concerning the procurement of 2008 and the inspection revealed serious problems. 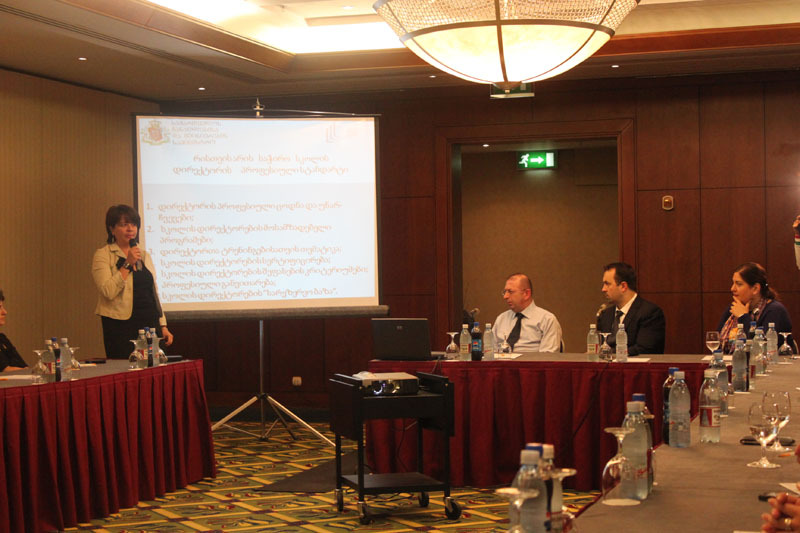 The Minister of Education and Science of Georgia Dimitri Shashkini and Head of National Examinations Center Maia Miminoshvili held the briefing on Teachers Certification Exams. 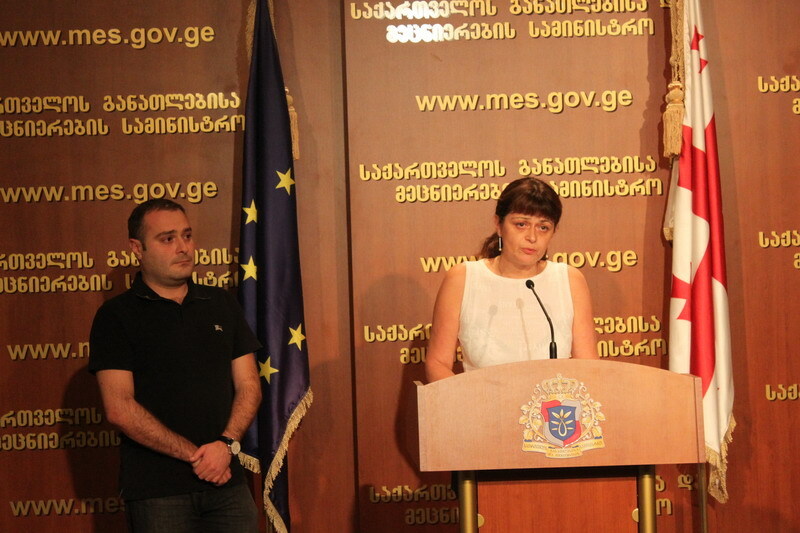 First Deputy Minister of Education and Science of Georgia Akaki Seperteladze and Head of National Examinations Center Maia Miminoshvili held the briefing on the results of 2010 Unified Entry Exams Appeal Committee. 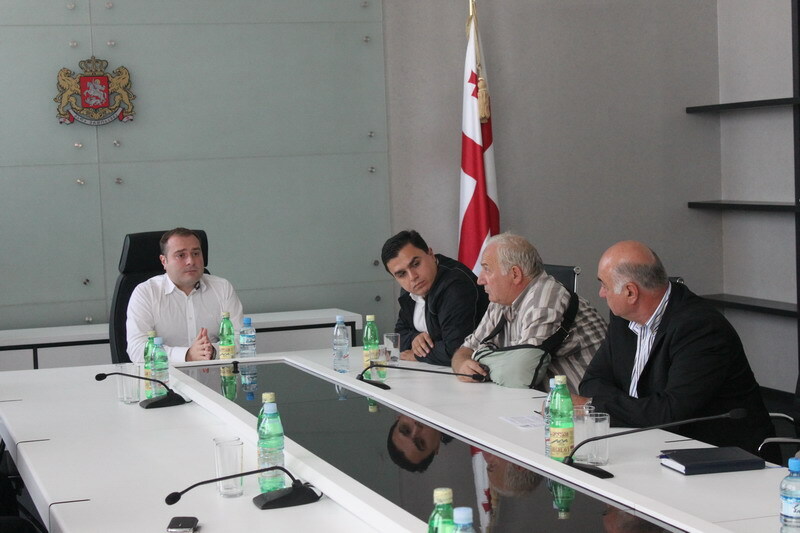 The Minister of Education and Science of Georgia Dimitri Shashkini met the Head of Trade Union Irakli Petriashvili. 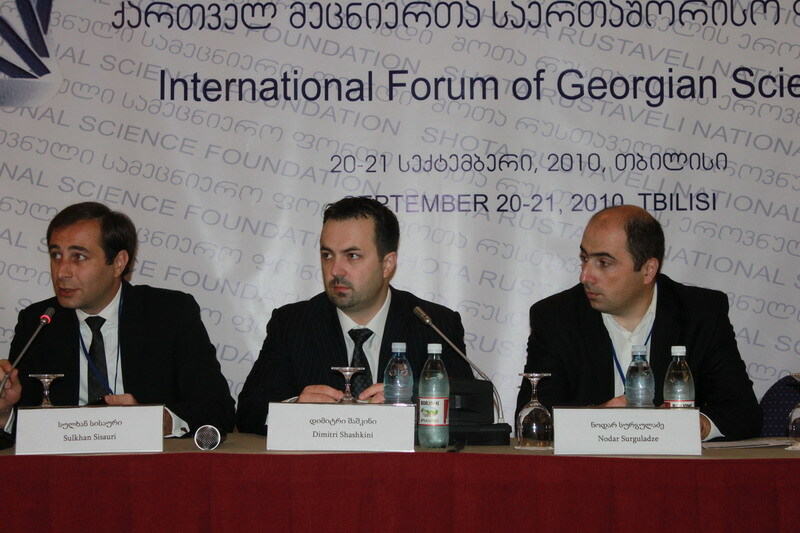 The goal of the meeting was to normalize the labor relations between education institutions and trade unions of Georgia. Deputy Minister of Education and Science of Georgia Irine Kurdadze and United Nations Development Programme Resident Representative in Georgia Jamie McGoldrick met the directors of professional education institutions and present them 750 text-books. 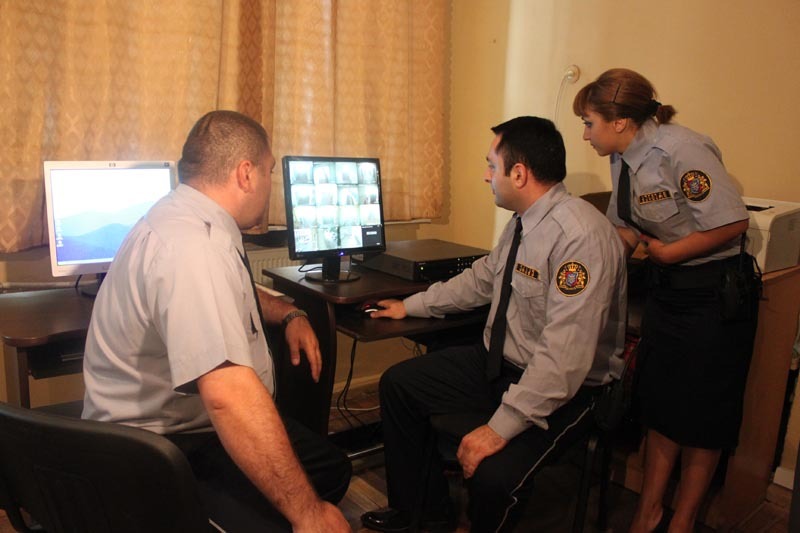 In the Scope of the President’s initiative programme ”Safe School”, surveillance systems were installed in more than 20 public schools of Tbilisi. 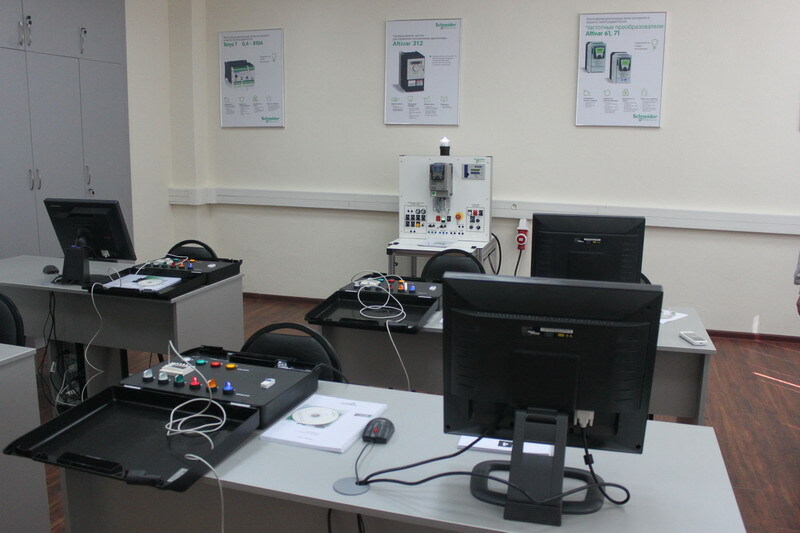 The process of installing is underway at other public schools of the capital, Kutaisi and Batumi. 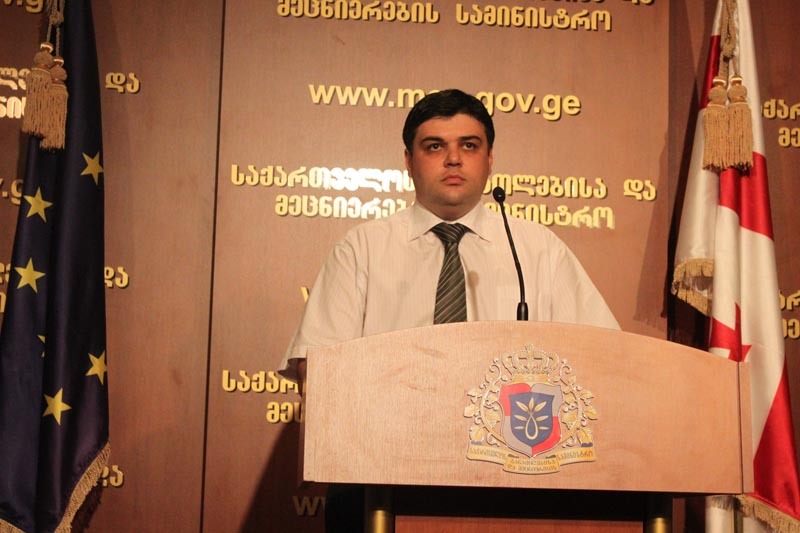 The Minister of Education and Science of Georgia, Dimitri Shashkini held the briefing on the beginning of the new academic year. By the announcement of the Minister, the exact dates of the beginning and ending of the academic year were defined and they won’t change. 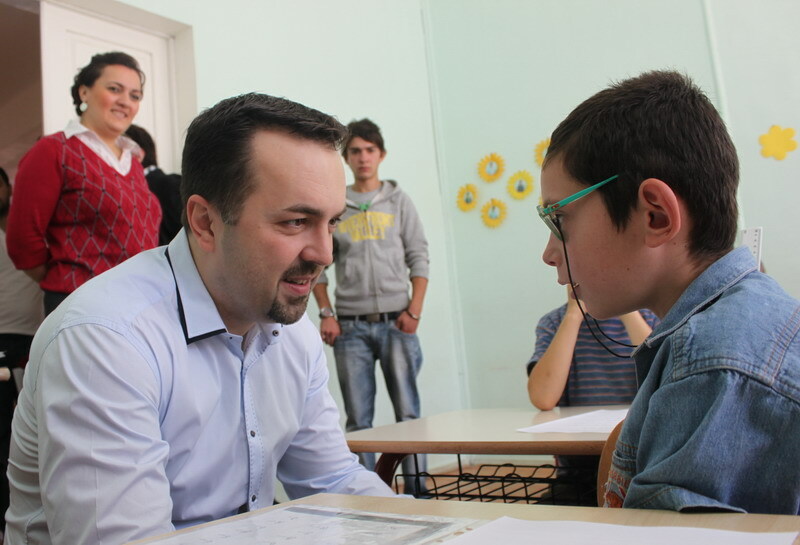 The Minister of Education and Science of Georgia Dimitri Shashkini and the Governor of Kvemo Kartli region Davit Kirkitadze got familiarized with rehabilitative works at Public Schools №7 and №21 of Rustavi. 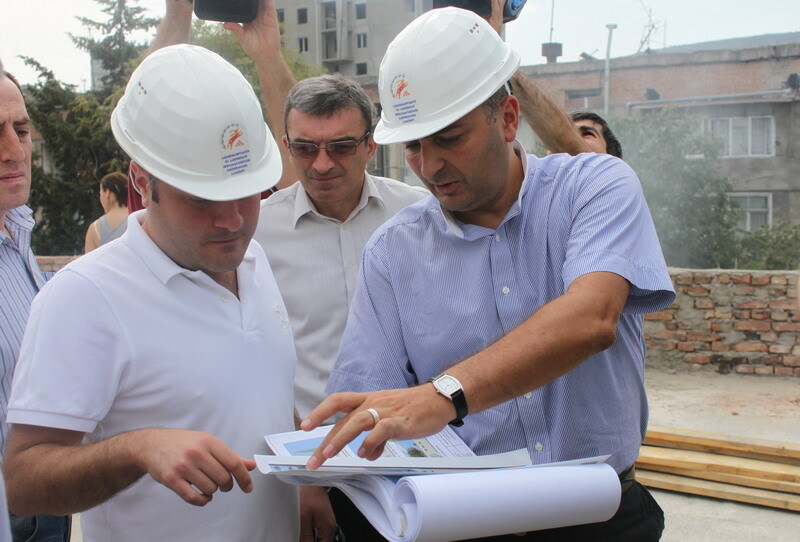 First Deputy Minister of Education and Science of Georgia Koka Seperteladze and Rector of Ilia State University Gigi Tevzadze visited the construction site of sport collage. 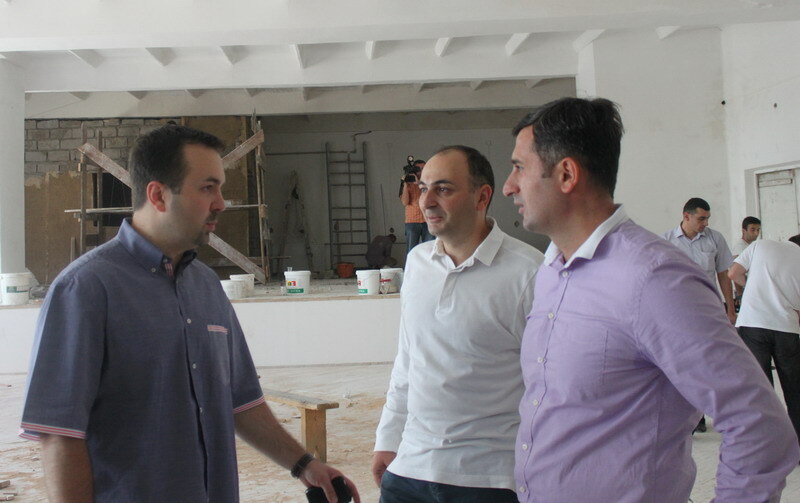 First Deputy Minister of Education and Science of Georgia, Koka Seperteladze and Director of Education and Science Infrastructure Development Agency, Irakli Todua visited Mleta village of Dusheti region and got familiarized with the construction works of the new public school. 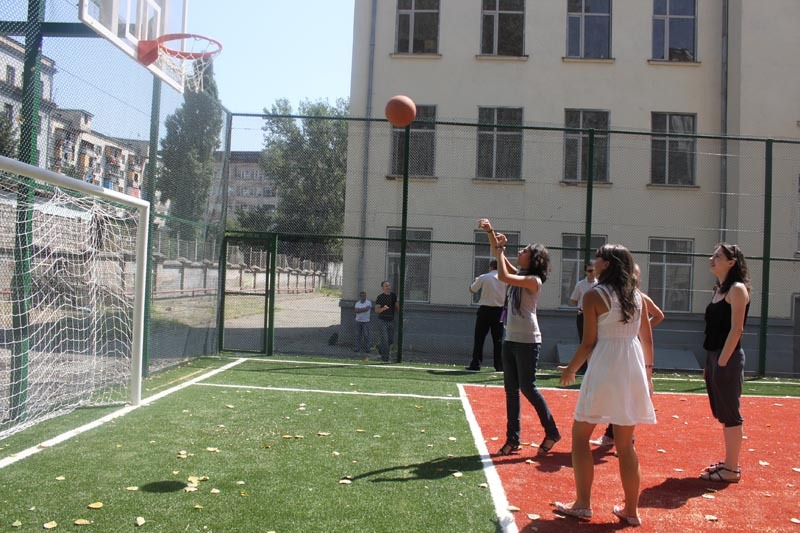 Deputy Minister of Education and Science, Nodar Surguladze and Director of Education and Science Infrastructure Development Agency, Irakli Todua visited the renovated gym in Tbilisi Public School №45. 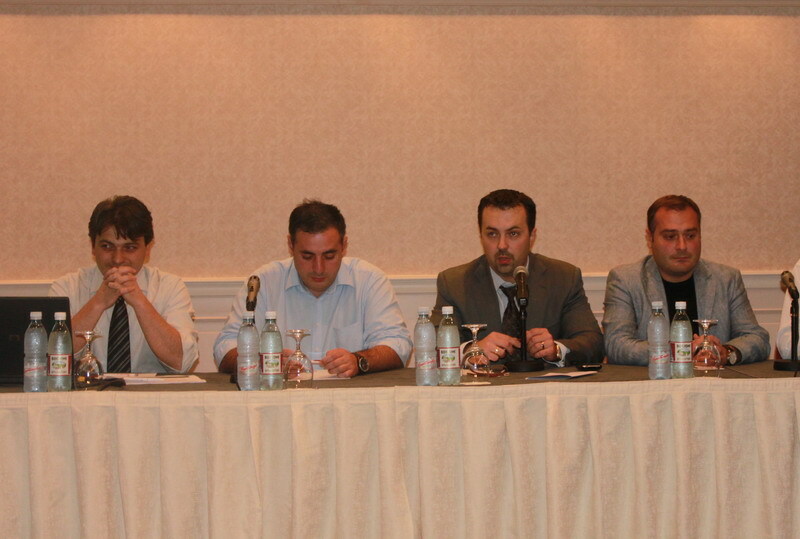 The President of Georgia, Mikheil Saakashvili met with the second group of native English speaker teachers in Batumi. 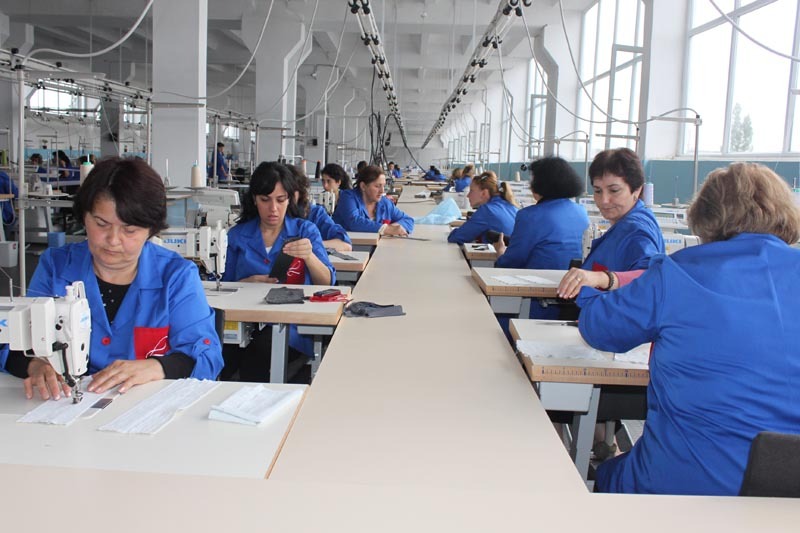 102 foreigners from the USA, Canada, England, Poland and other countries of Europe will be distributed in Georgian families of Guria, Samegrelo and Adjara. 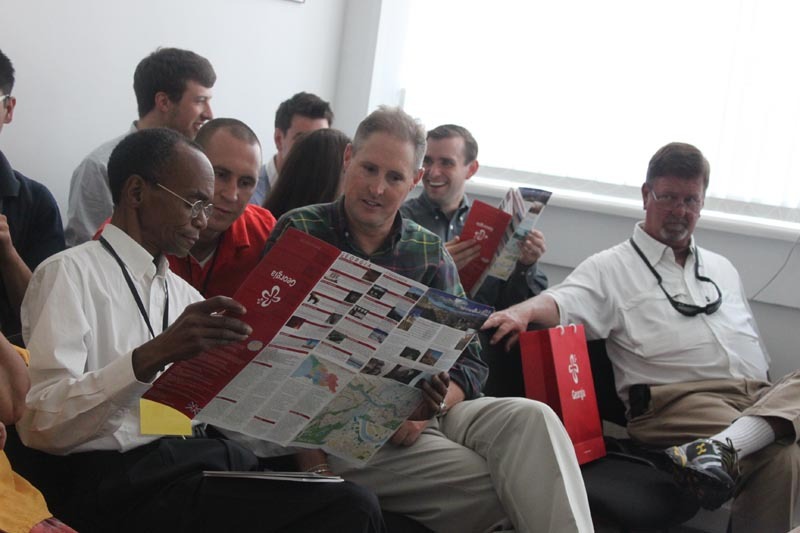 On August 14, second group of foreign teachers arrived in Georgia in the framework of the project Teach and Learn With Georgia. 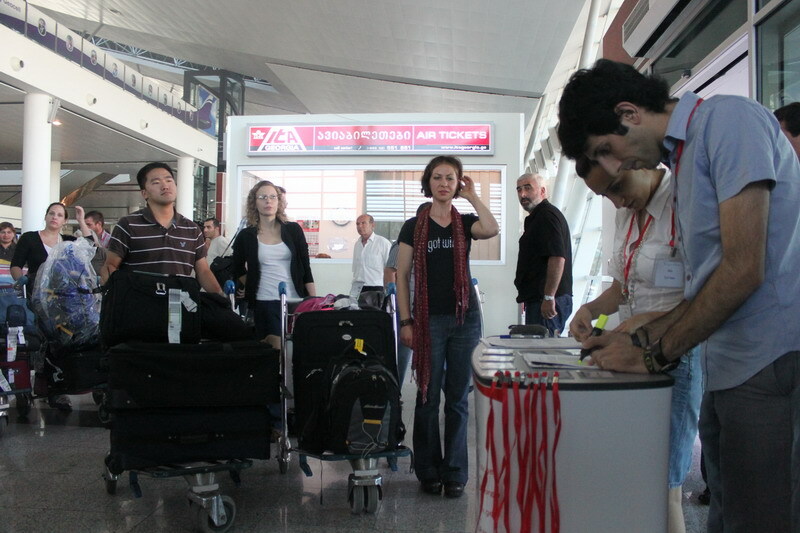 57 teachers arrived from the USA, Canada and European countries. 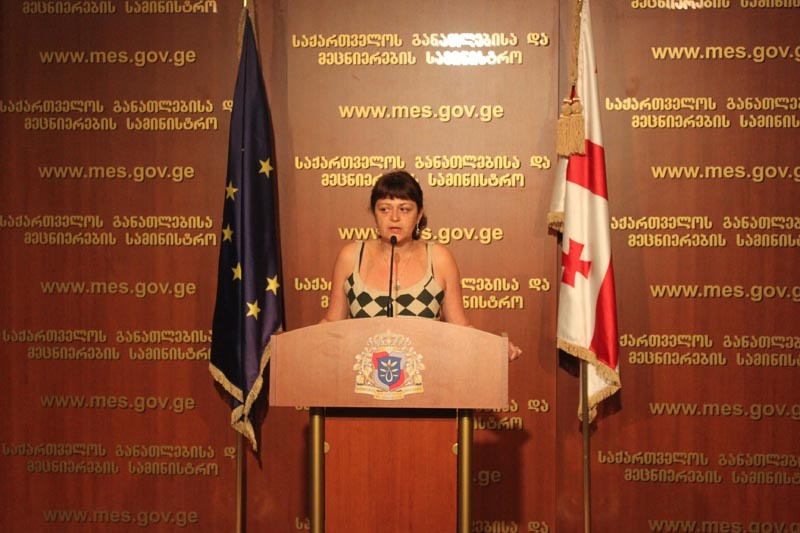 Memorandum of Cooperation was signed between the Ministry of Education and Science of Georgia and the Civil Registry Agency of the Ministry of Justice. 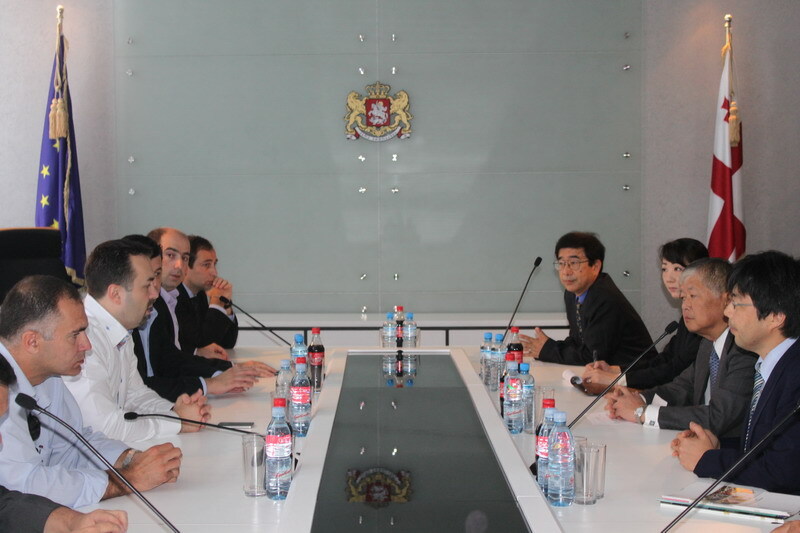 Memorandum envisages automatic exchange of data between two structures. 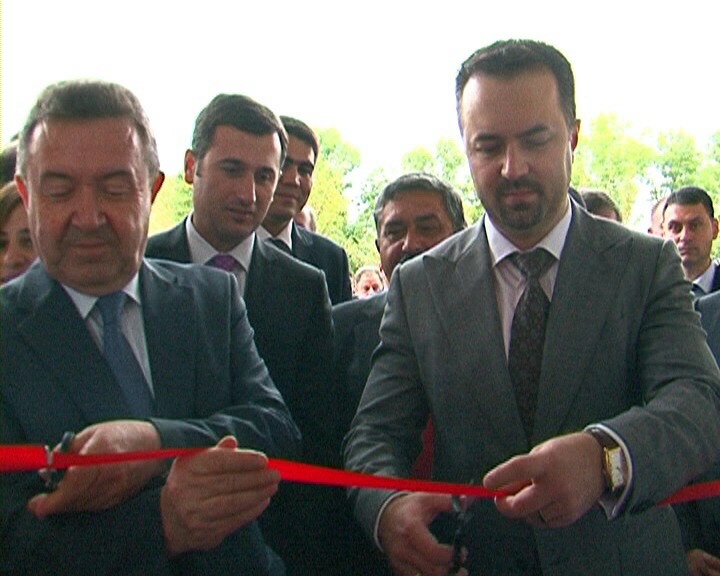 Two-day working conference was officially opened at Consulting and Training Center where launching of the Civic Education and Teacher Training Program was announced. 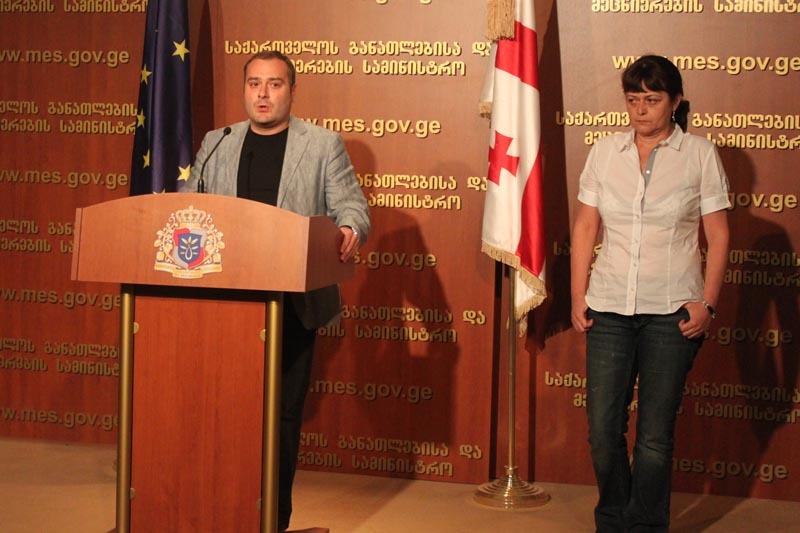 First Deputy Minister of Education and Science, Koka Seperteladze awarded 20 winner teachers of the program ”Georgian – Second Language” with certificates. 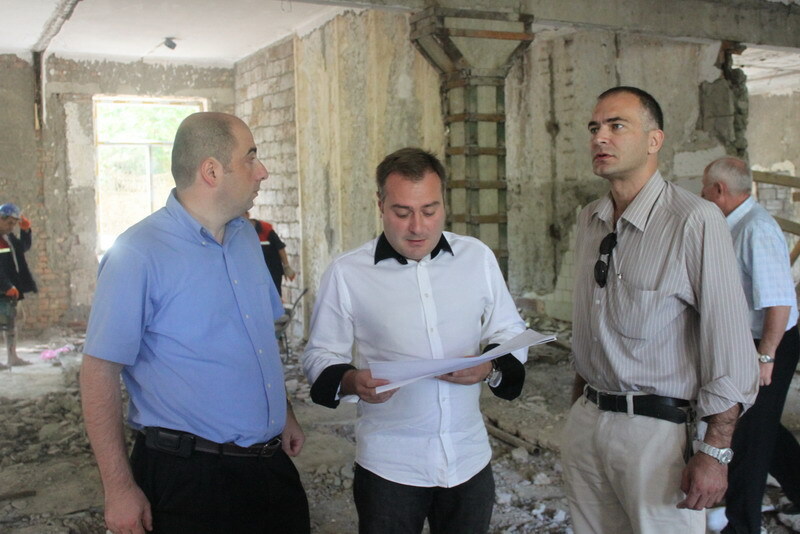 First Deputy Minister of Education and Science, Akaki Seperteladze and Director of Education and Science Infrastructure Development Agency, Irakli Todua got familiarized with the construction works at the First Experimental School. 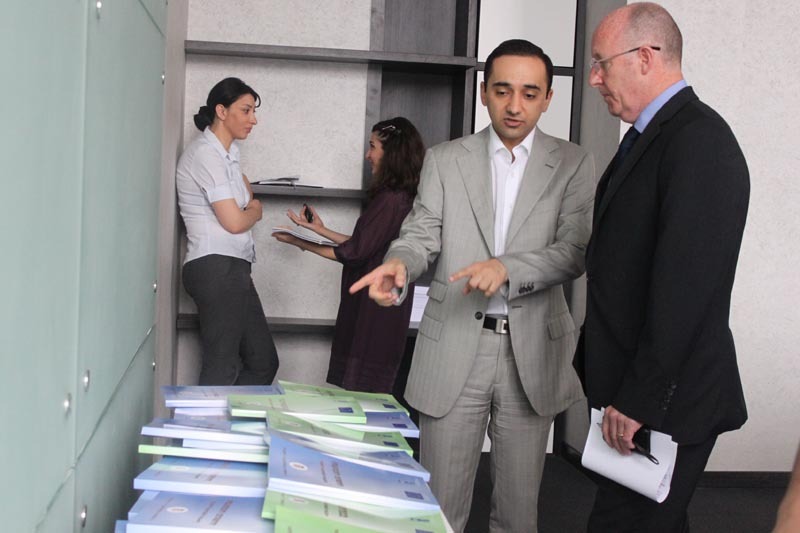 First Deputy Minister of Education and Science, Akaki Seperteladze presented 15 winners of an international competition Aliante 2010 with portable computers at MES. 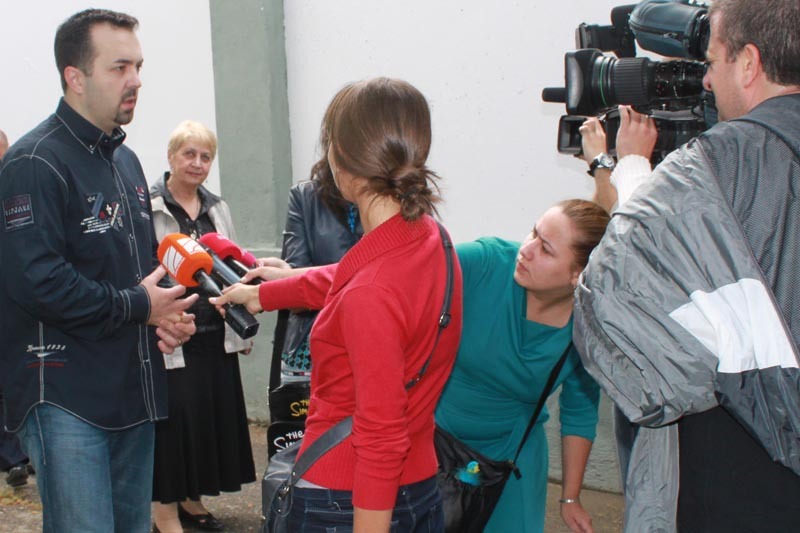 The competition is organized by the NGO “New Generation – New Initiative”. 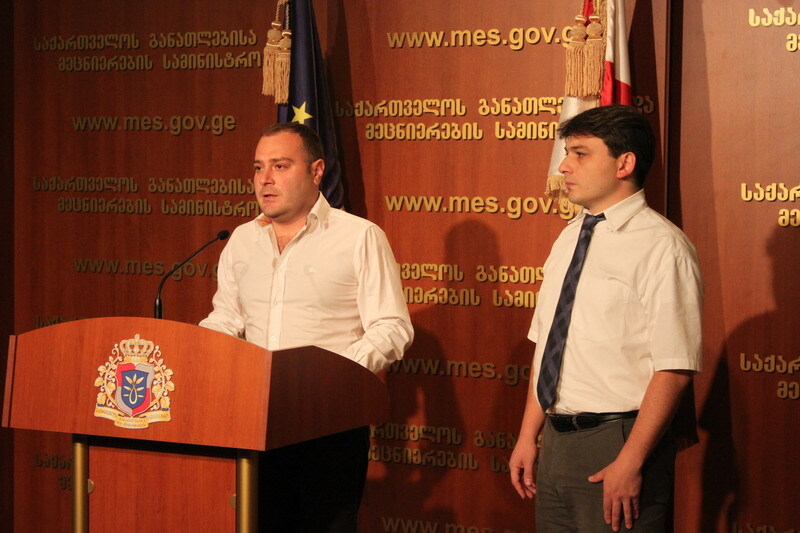 First Deputy Minister of Education and Science, Akaki Seperteladze presented George Damenia with the portable computer and books at MES. George Damenia is the son of Zaza Damenia – National Hero who died in the war. 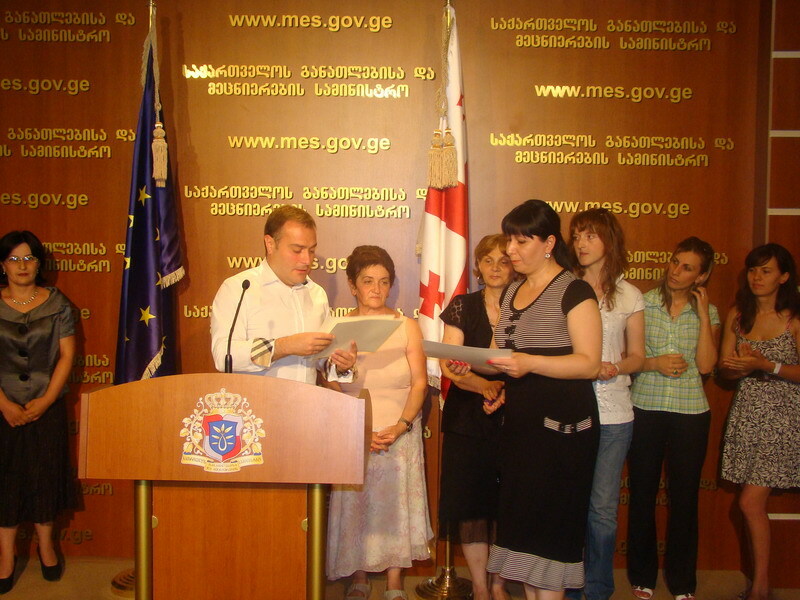 Zaza Damenia was named as the National Hero according to the President’s order. 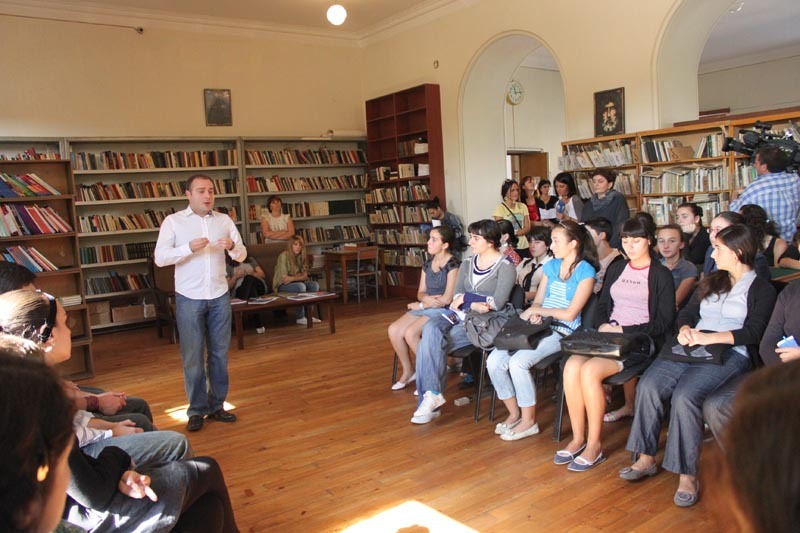 First Deputy Minister of Education and Science, Akaki Seperteladze visited Buckswood Summer School and met with the Armenian schoolchildren who arrived in Georgia in the framework of English Language Learning Strengthening Program. Internal Audit Department of MES checked and discovered the debit and credit debts in 2007-2009 in MES and the Institutions operating under MES. Probably these debts are provoked from the illegal environment. 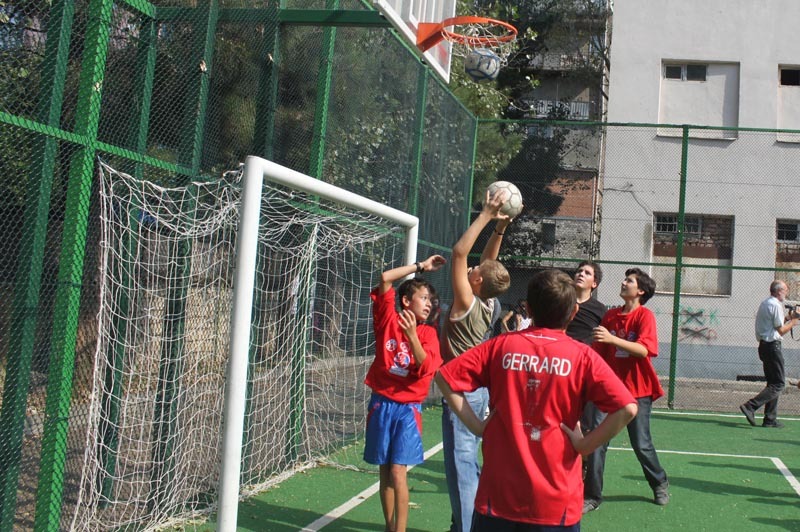 First Deputy Minister of Education and Science, Akaki Seperteladze opened a new stadium in Tbilisi Public School №60. 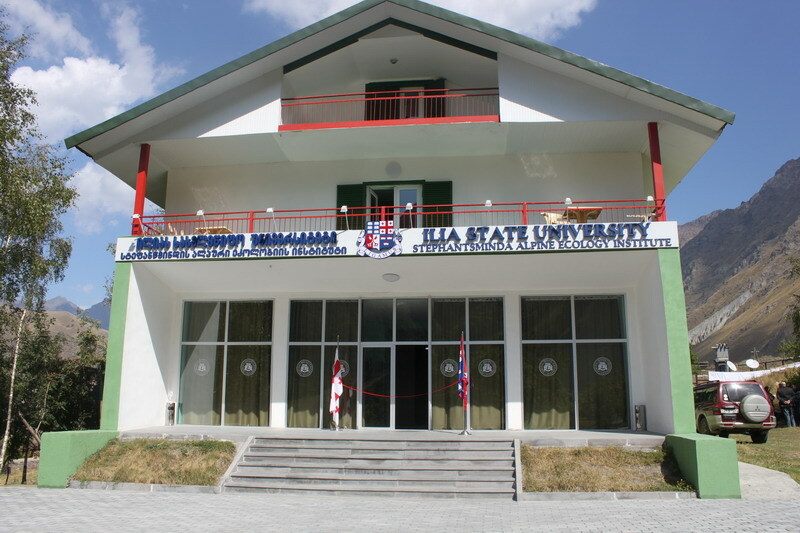 Education and Science Infrastructure Development Agency of MES implemented the construction workings. Talented and successful schoolchildren of the vulnerable families as well as the winners of the National School Olympiads will have an opportunity to study at private schools without tuition fee if they wish. 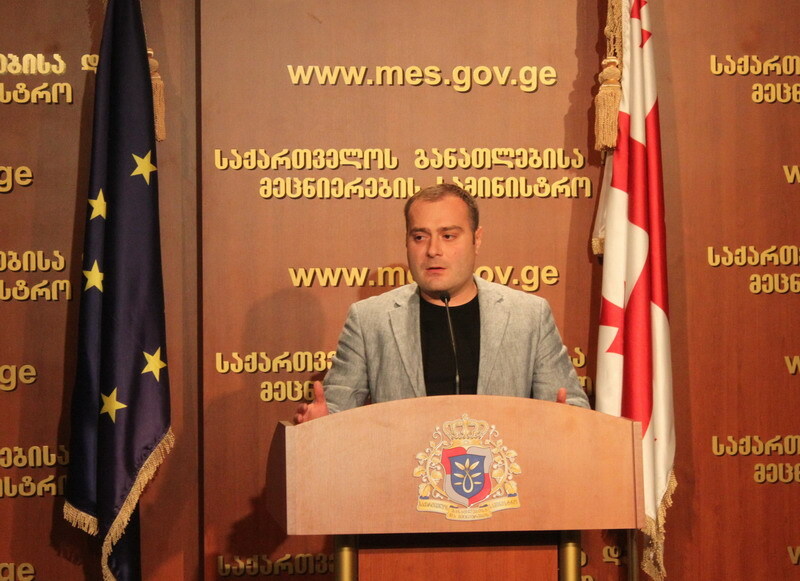 Head of the Department of Internal Audit of the Ministry of Education and Science, Irakli Andriashvili made an announcement on the fact of stealing 39 unique books of the 18th and the 19th centuries from the library of Tbilisi State University. 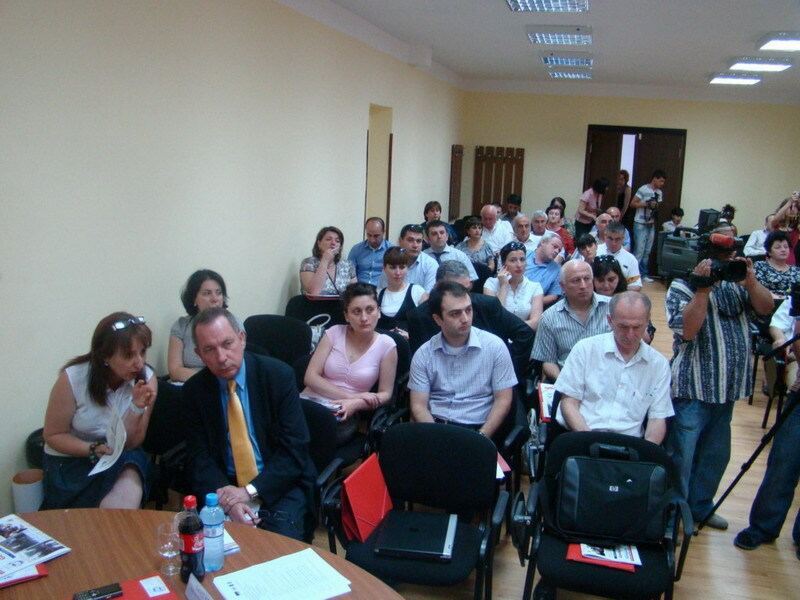 Reception was held at the Ministry of Education and Science of Georgia. 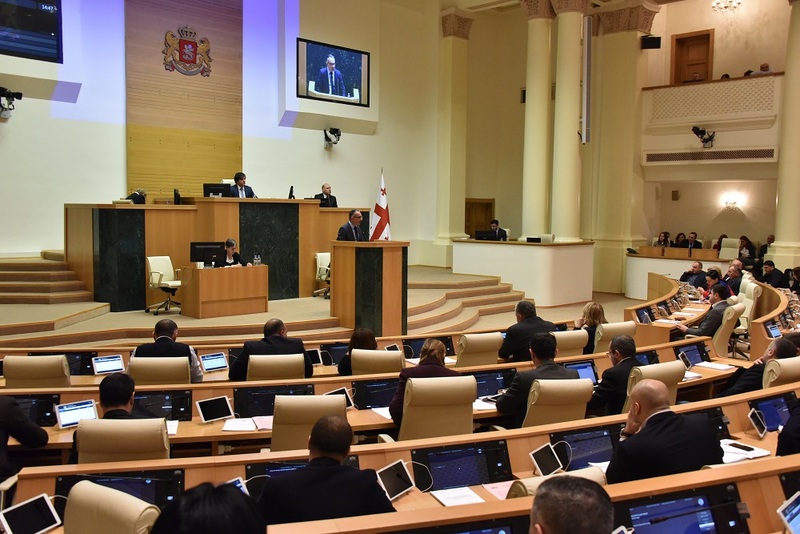 The Minister, Dimitri Shashkini and the representatives of the diplomatic corps accredited to Georgia met with 50 foreign teachers who arrived in Georgia in the framework of the educational program “Teach And Learn With Georgia”. 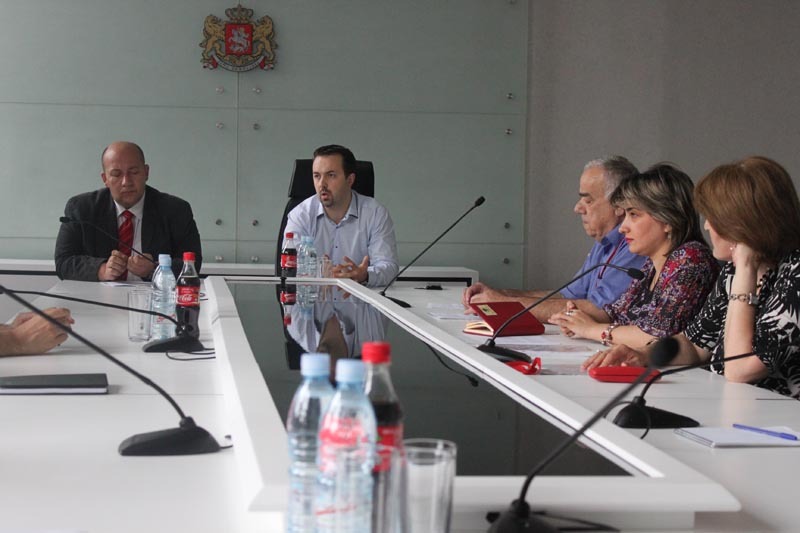 Minister of Education and Science, Dimitri Shashkini met the foreign teachers at the Tbilisi International Airport who arrived in Georgia in the framework of the educational program “Teach And Learn With Georgia” in order to get involved in the education process together with the local teachers from the new academic year. 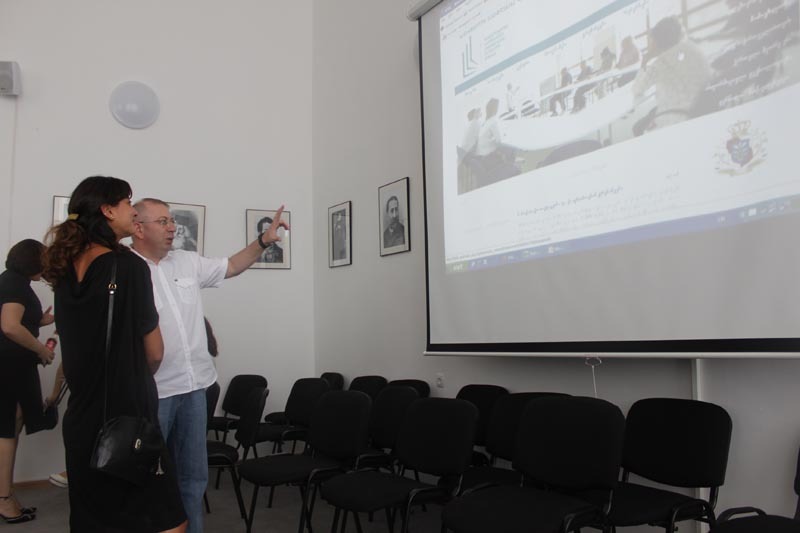 Minister of Education and Science of Georgia, Dimitri Shashkini attended the presentation of the web-sites of 40 public schools, prepared by the students of the faculty of web technologies at IT Vocational Education and Training Center and awarded the authors of the best sites. 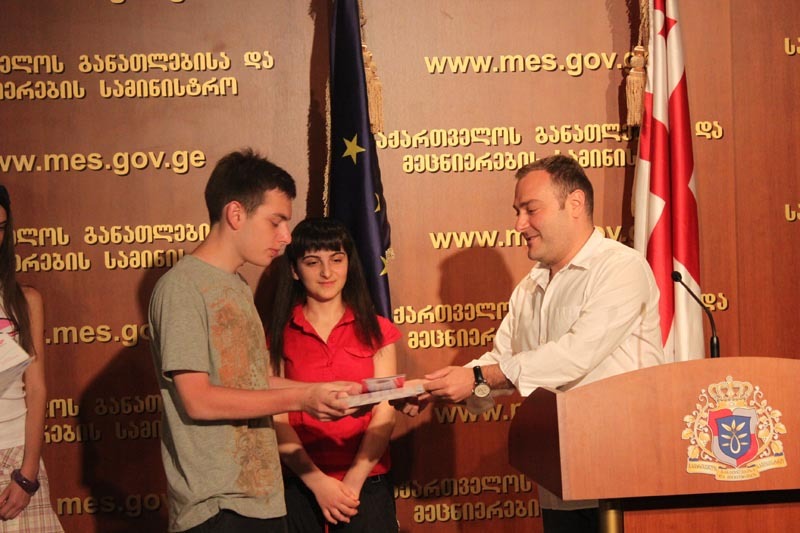 First Deputy Minister of Education and Science, Akaki Seperteladze awarded the winners of the competition Junior Summer School of Georgia with diplomas for creating the best foreign language essays. These schoolchildren will be sent in the summer schools of Great Britain, France and Germany. Minister of Education and Science, Dimitri Shashkini awarded with prizes the schools where the winners of the School Olympiads study. Based on the results of the subjects, unified list of high ranking general educational institutions was created. Minister of Education and Science, Dimitri Shashkini visited Tbilisi Public School №92 and got familiarized with the educational-cognitive and didactic literature that was donated to the school library by the President of Education Professional Syndicate, Tato Shavshishvili. 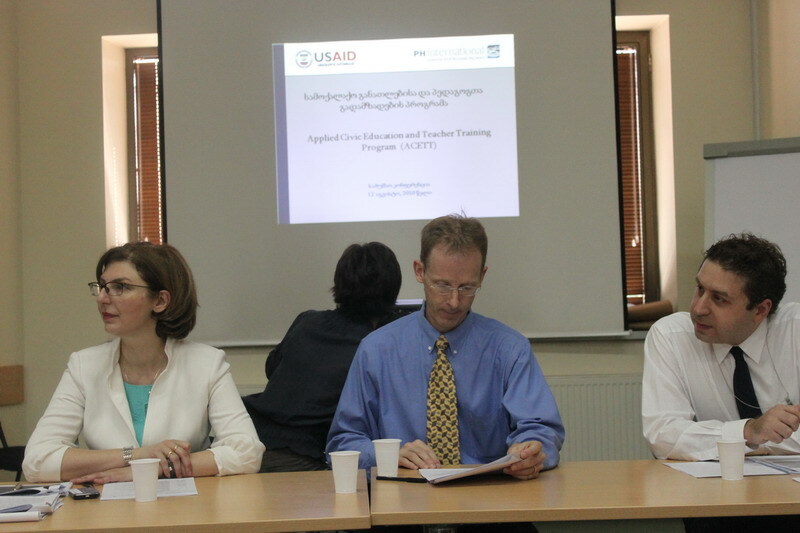 Presentation of the website - www.tpdc.ge of Teacher Professional Development Center was held at MES for the journalists. 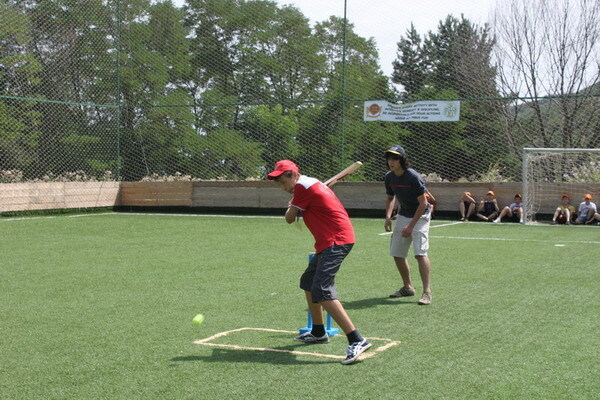 Popular English game – cricket was held among the schoolchildren of Tskneti Buckswood Summer School. 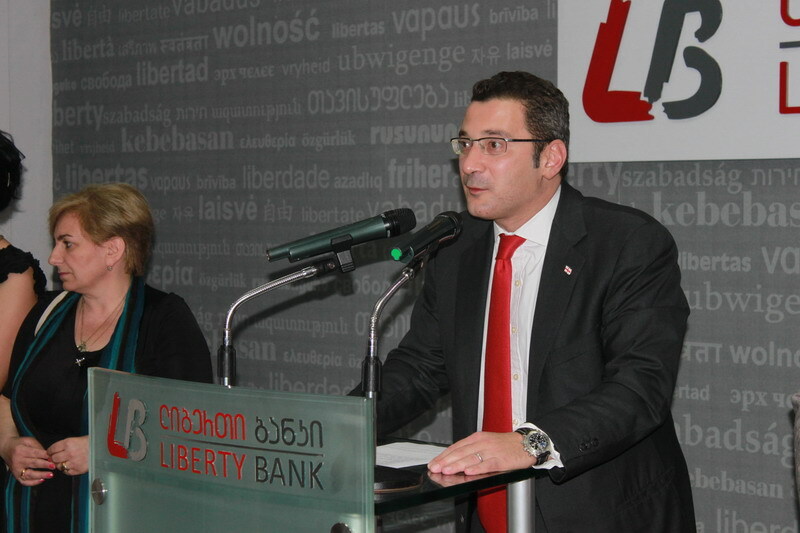 Minister of Education and Science, Dimitri Shashkini attended the competition.